Watches are one such accessory which is loved by both men and women of any age group. They are like vitamins to fashion. Watches have always been a symbol of style statement since its invention which took place ages ago. One surely feels incomplete without a wristwatch in his or her arm. It is on such elegant and powerful accessory which has a special place in everyone’s heart. For the same reason, the manufacturers of watches continuously modernize the look, design and style of watches. So, for all you watch lovers out there, below we have listed down the top 10 wrist watches brands in India that are worth investing. Guess watches combines the latest fashion trends with innovative technology to create modern and stylish timepieces. This is an American wrist watch brand which has an appealing design and posh finish. The model lineup includes; Guess sport, Oasis, Vessel, Viva, Sparkler and more. It offers both, woman as well as men watches. The brand offers Analog, Digital as well as Chronograph watches. So, go and grab this watch and become the talk of the town. This too is an American brand of watches which offers unique and drool worthy designs both for men and women. Fossil has also come up with its range of smart watches recently. The model lineup includes Fossil Q Wearables, Dean, Decker, Grant, Machine, Virginia, Retro Traveler, Cecile, Jacqueline, Riley, Stella, Georgia, Sport, Boyfriend and more. The brand offers Analog, Analog-Digital, Chronograph and Digital watches. The sleek, sturdy and fashionable designs of Fossil watches will grab many eyeballs towards you. 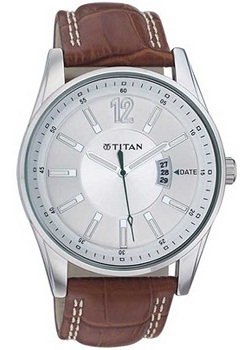 Titan is yet another loved brand in India which is very popular among the Indian youth. Its offerings include top brands like Police, Sonata and Fastrack. As far as the model lineup is concerned, it includes Steel, Regalia, Raga, Nebula, Orion, Purple, Obaku, Automatic, Tycoon, Bandhan, Octane and more. The brand offers Analog, Digital, Chronograph and Analog-Digital watches. Time to time, many Bollywood celebrities have been associated with the brand making it a posh one. For decades Timex, has been one of the most loved brands in India. It is known for its classy Italian designs with German engineering. Timex watches understand the needs of an individual and offers Intelligent Quartz for the fashion lovers, Ironman collection for the fitness lovers and Expedition collection for the adventure lovers. The other popular brands of Times Group are Helix, Versace, and Salvatore Ferragamo. The model lineup includes Expedition, Weekender, Intelligent Quartz, E-Class, Fashion, and Sports Marathon. -Multi sport tracking and connected GPS. This one was probably the most awaited gadget by all. The watch has a digital touch, measures your fitness level, and gives you an access to iTunes and Apple TV and more. The most talked about features of this watch is the Apple pay which is kind of a virtual wallet. In short, the watch is your mini world. This is a Japanese brand and one of the most popular brands of watches in Indian. Citizen is the leader in technology and has developed unique watches such as Eco Drive, which works on solar power and works for six months. The model lineup includes Eco-Drive, Satellite Wave, L, and Premaster. This too is one of the most loved brands of watches in India. Its range includes watches for both men and women. The straps come in bold, vibrant as well as in metallic finish to give you a sophisticated look. The brand offers timepieces for both formal and casual look. The watches have metallic, leather straps with dials that will take away your breath. The model lineup includes Exclusive, Premium, Trendy and Slim. Casio is a Japanese company which offers various products, but Casio watches are the most popular product of the company. This has been a popular brand among Indians since ages. The brand offers you the concept of connecting your smartphone with your watch Thus; with this brand, you will get both; style as well as technology in your timepiece. Apart from the above-mentioned brands, there are several others brands which offer watches for kids as well, Zoop being one of them. So now, you must be having a clear picture about the most loved brands of watches among Indians. So, go and get one for yourself soon.